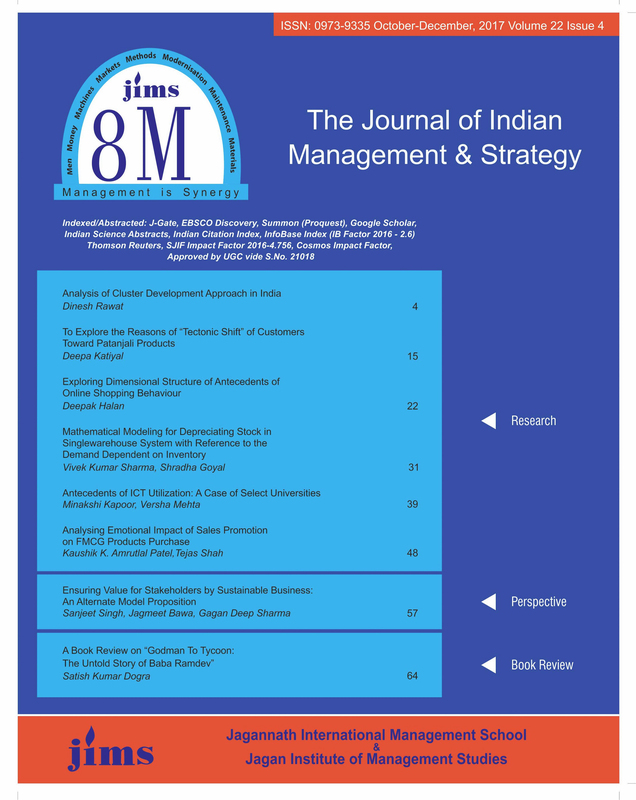 JIMS 8M is a Quarterly Management journal, contribution to which is made by academicians, consultants and management practitioners covering various areas of managing men, machine, money and the like. 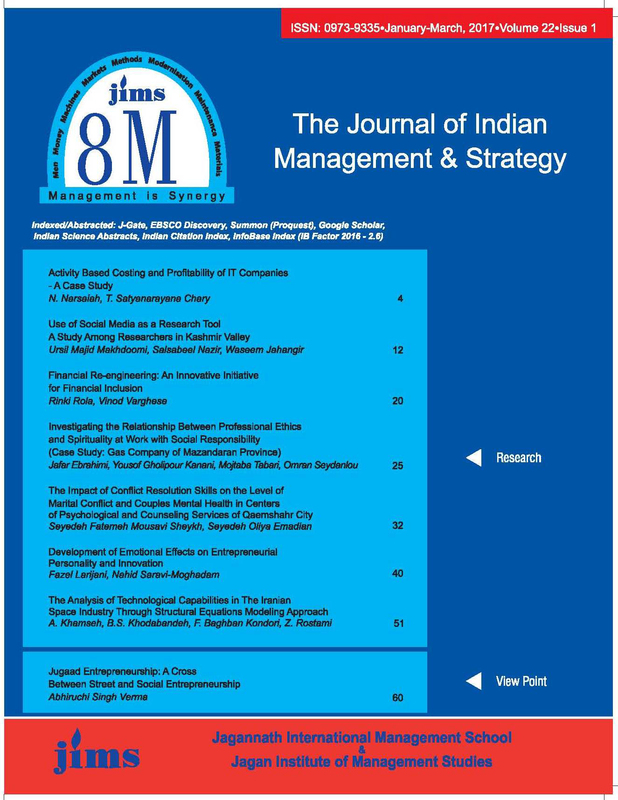 A fully refereed journal, 8M explores the latest research and innovative thinking in management. 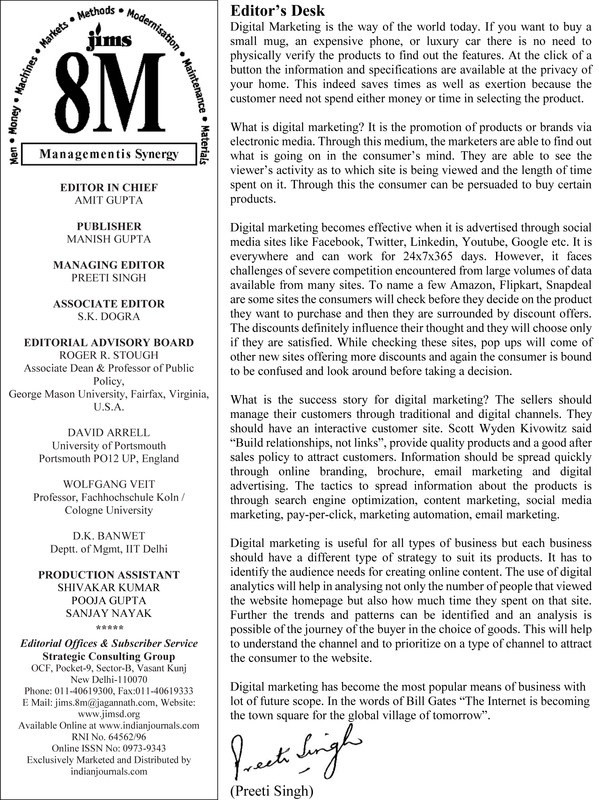 The journal offers one of the most extensive coverage in respect of some of the key areas of management disciplines like Marketing, Finance, Human Resource Development, Strategic Management, etc. The coverage is also being progressively extended to deal with the varied aspects of international trade management and IT, in recognition of India's march towards globalization. The journal has an international focus and offers variety of perspectives from around the world to help you gain greater insight into current management theory and practice. 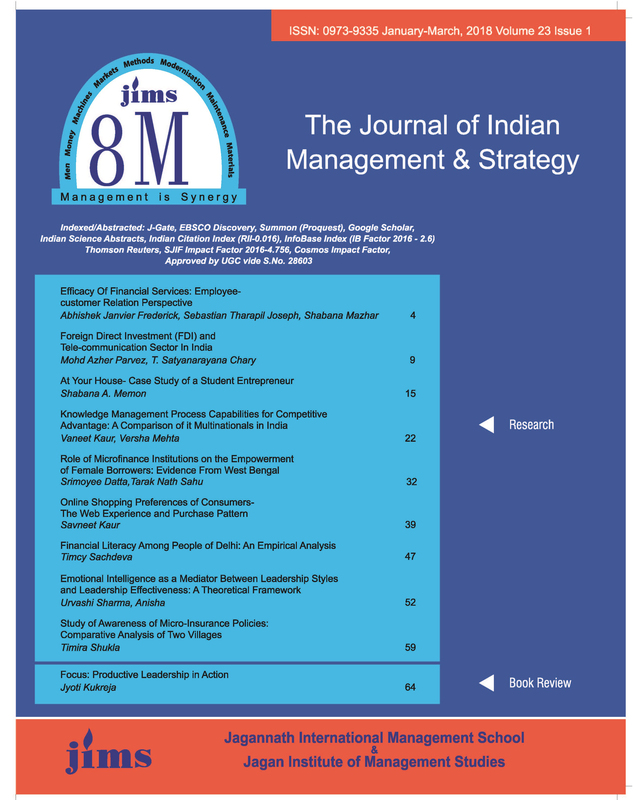 To provide a practical orientation and encourage innovative thinking the journal also includes additional features such as case studies ; Interviews with captains of industry and trade ; Views of management experts on contemporary problem areas in Indian industries and possible remedies ; Book reviews ; Information on new product launches ; Corporate watch and analysis ; Trends in the international trading environment and its implications for the Indian economy ; Trade and management briefs ; Synopsis of some of the major seminars and conferences participated by the institute ;Guest Column – penned by a leading management practitioner. 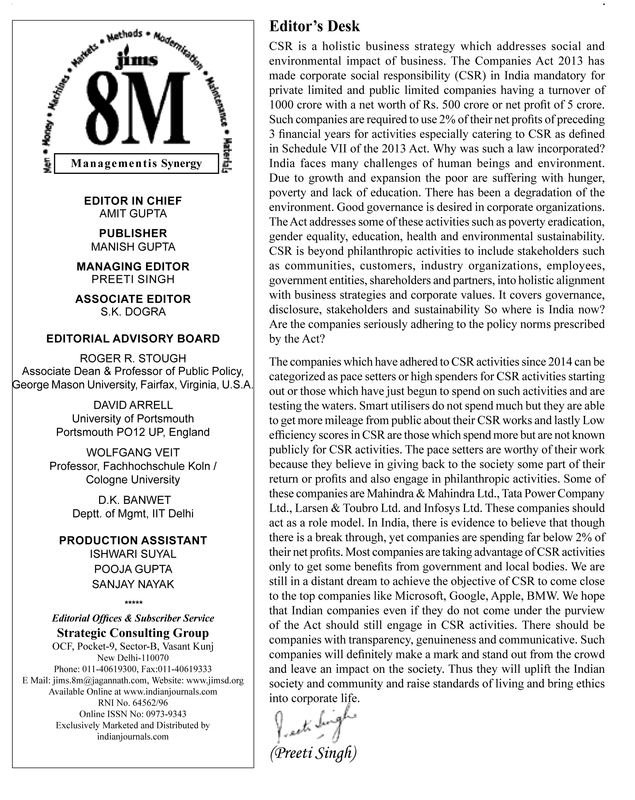 The response to 8M has been extremely favorable and already enjoys wide readership which includes management institutes like XLRI, IIFT, IMI, IRMA, Symbiosis, TA Pai etc. and companies like HLL, Philips India Ltd, DCM Ltd., SAL, L &T, Marinti , BHEL, Indian Airlines etc. The subscribers include corporate houses, management institutes, colleges and universities, academics, professional institutes and libraries, business strategists, management practitioners and consultants, management students.